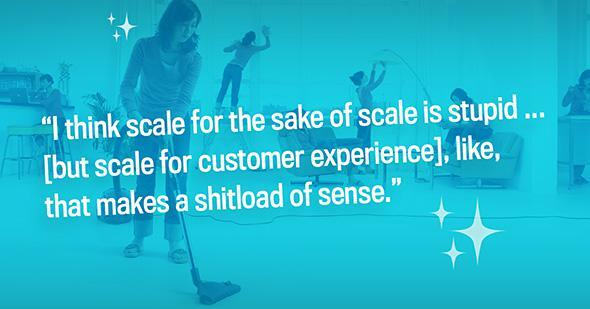 Handy, a hot startup for home cleaning, has a big mess of its own. 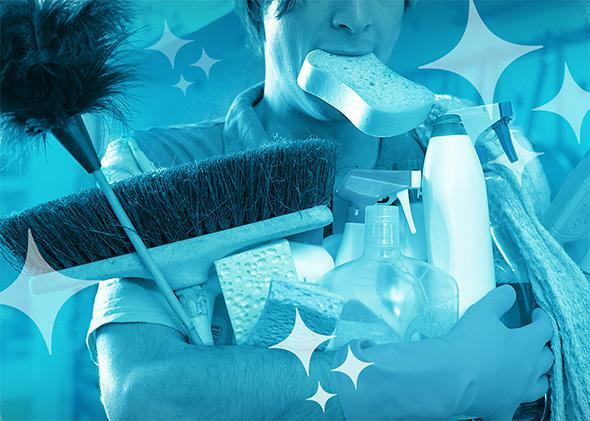 Almost everything that startups get right—and horribly wrong—happened at home-cleaning service Handy. Photo illustration by Lisa Larson-Walker. Photo by Didier Robcis/The Image Bank, icons by Thinkstock. Handy’s third birthday party last month was everything you’d expect from a startup soiree. Twenty- and thirtysomethings crowded the dimly lit bar at Pergola, a Mediterranean spot in Manhattan’s Flatiron District, munching on skewers of free-range chicken and a seemingly endless cascade of spicy meatballs with tzatziki sauce, as a hoodie-clad co-founder boasted about the company’s recent triumphs. Handy had good reason to be in high spirits. The startup, whose app allows users to hire, pay, and rate home cleaners, had just completed its one-millionth booking. I had come to the party at the invitation of a Handy PR rep and was making the rounds, introducing myself as a journalist and chatting with employees. Most had drinks in hand and seemed eager to celebrate. But when I slipped into conversation with a woman from Handy’s customer service department, she told me something surprising. “A couple months ago,” she said, “we thought the company was going to implode.” She alluded to outsourcing and infighting, and a workplace culture roiled by anxiety over the company’s future. That didn’t track with what Umang Dua, one of Handy’s co-founders, had been telling me and another reporter just moments earlier. Since launching in 2012, Handy has expanded to 28 cities, including ones in Canada and England. It employs a full-time staff of more than 160 across all these cities, and has enlisted about 10,000 cleaners to work on its platform. In March, Handy notched $15 million in funding, and is reportedly closing in on another $50 million. That could value the company at half a billion dollars. The expansion, the millionth booking—all signs point to growth. Sure, Handy isn’t profitable yet, but what 3-year-old startup is? Handy is unquestionably a savvy young company, one that has conjured a valuable new business out of thin air. But in the weeks following the party at Pergola, I learned that its ascent in the so-called 1099 economy has been a bumpy one—for its users, its employees, and for the independent contractors who actually do the cleaning. Former Handy employees I spoke with described a workplace that has conformed to every caricature of the contemporary startup: Grueling hours for staffers. Performance judged on the basis of stultifying metrics. An office culture that is at once elitist and boorish. As for the cleaners, many have enjoyed the business the Handy platform has brought them. But others have felt exploited by the company’s policies. They face harsh penalties for missed jobs. They must maintain exceptionally high ratings to earn the most competitive wages and to keep getting gigs. And as contractors, not employees, they enjoy few if any traditional workplace protections. Three former cleaners have now filed two separate suits alleging that Handy classifies them as contractors but oversees them like employees—and demanding that the company compensate them for their unpaid time and expenses. 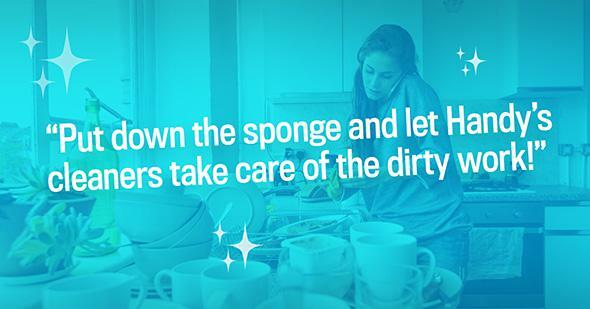 Will Handy succeed in becoming the Uber of household chores? Or will it come to serve as a cautionary tale for startups in the white-hot 1099 economy? There’s no denying investors’ enthusiasm for companies that swoop into a sector and establish businesses with lean operations and armies of contractors to do the dirty work. But the imperatives to grow these businesses by leaps and bounds while keeping costs extraordinarily low are pushing companies like Handy to the brink. Even potential half-billion-dollar valuations can’t hide the strain. Every good startup has a good origin story, one that begins with a problem and ends with an ingenious, app-powered solution. Uber’s founders couldn’t get a cab on a snowy night in Paris. Airbnb’s execs had extra room in their loft. Handy began with a mess. Photo illustration by Lisa Larson-Walker. Photo by Izabela Habur/Getty Images. Handybook, as it was initially called, launched in Boston that month. Hanrahan and Dua’s vision was to create a digital platform that would help customers find trustworthy cleaners for their homes, and help good service providers find work. In June, Handybook pushed out a version for New York City. That fall, Hanrahan and Dua raised a few million dollars in capital and shortly afterward moved their five-person team to New York. They borrowed their first office from General Catalyst, one of the company’s investors. At the time, they had fewer than 100 cleaners using the service. The operation was lean by design, in line with the gospel of the 1099 economy. The core belief of its evangelists is that you can build empires without actually owning much of anything and without actually employing the people who deliver your services. (The moniker 1099 nods to the tax forms the IRS requires of most independent contractors.) In the 1099 economy, the company’s role is to facilitate two sides of a marketplace, linking people who have time and skills to people who need their help. Handy’s idea landed right when tech-industry investors were in a fervor for companies that provided on-demand conveniences and gig-based innovation. The company scooped up $10 million in funding in October 2013, and by the end of the year it was live in 12 cities. In spring 2014, a few months after receiving a $3.7 million infusion, Handy launched in a dozen more cities, including its first international one, Toronto. Another $30 million of financing followed that June, and a month later Handy headed to London. The company was growing exponentially—and its customer base was growing with it. In March 2013, Handy booked one appointment every 90 minutes. One year later, it was booking a customer every three minutes. By September 2014, it was one every 30 seconds. Many startups, born in business schools and forced to grow up fast, run into a tough reality like this sooner or later. But Handy, hurtling toward success, crashed into it hard. Photo illustration by Lisa Larson-Walker. Photo by Maskot/Getty Images. The employees I talked to said that process wasn’t always a smooth one. The first signs of trouble emerged in summer 2013, as Handy’s expansion ramped up, and the company’s still-small staff had to balance recruiting users, onboarding cleaners, fixing technological bugs, and resolving customer issues. The strain fell particularly hard on the fledgling customer-experience team. Its five members routinely worked 12-hour days, five or six days a week. Even so, wait times on Handy’s customer service phone line would often top an hour or two. The fall of 2013 found Handy still struggling to fix its customer-experience problems, as well as develop technology fast enough to accommodate its surging growth. The company “experienced periods of high demand where call wait times were longer than desirable,” Handy’s spokesman says. The pressure to improve “was noticeable by the culture of the company,” says Martin, who left this March to start a new company. “We were growing really quickly and we were just racing to build the technology to help deal with this.” Today, Handy says its average call wait is between two and three minutes. In the summer of 2014, Handy hired Carrie Zuchorski, a former executive at Weight Watchers, as vice president of customer experience. With her arrival, five former customer-experience employees say the already overwhelmed department became even more so thanks to the imposition of rigid, metrics-focused goals. Employees were required to have a certain number of “customer interactions”—things like emails and phone calls—every hour. They were publicly ranked and given preference for picking shifts based on the quantity and quality of their service. Former customer-experience employees say they were also hamstrung by poor communication between departments. When the product team made changes to Handy’s app, two former employees say, the customer-experience team would sometimes only learn about it when confused users called in. On top of that, customer-experience employees were now being monitored on everything from when they arrived to how long they spent eating lunch and taking bathroom breaks. Morale plummeted. “It definitely started a culture of resentment,” a former associate in the department says. Even with these changes in place, by the fall it became clear to Handy that the Manhattan-based team wasn’t working out. Employees there tended to want more career development than Handy could afford, and the resources dedicated to them were detracting from other parts of the business, like “growth or marketing function,” Hanrahan says. “It just wasn’t a good fit.” The platform also needed to support hundreds of thousands of customers, thousands of cleaners, and call volumes that could run as high as 10,000 in a week. So Handy started outsourcing customer-experience positions to call centers in Missouri and Florida (“a more mature and sophisticated customer service team,” the spokesman writes). But instead of shortening phone queues and easing workloads for people in New York, outsourcing made things worse for the in-house customer-experience members who remained. The call center employees were unfamiliar with Handy’s systems, their former New York counterparts say. Stress climbed. Wait times, which had improved to around 15 minutes, increased again. Over the next few months, several customer-experience employees quit. Early this year, Handy began to fire people in the customer-experience department. “They would fire them like 10 at a time,” says a former employee, who quit this March. “They didn’t do it in front of us but all the conference rooms were glass. So they would call people in and then you would see people gather their stuff and leave.” In Handy’s New York office, the customer-experience team that once numbered around 100 employees has dwindled to about two dozen. As intense scaling took its toll on the company’s culture through the first half of 2014, it also wore on Handy’s financials. Transforming the market for home services in 28 cities isn’t just ambitious—it’s expensive. Onboarding each new cleaner in the U.S. cost hundreds of dollars, two employees who were involved with operations say: Expenses included background checks, phone interviews, and a $250 initial cleaning kit whose cost was partially borne by the contractors. As of this February, Handy was bringing on 400 to 500 new cleaners in a single week, one of those employees estimates. Handy, which says it still brings on hundreds of cleaners each week, sets the current onboarding cost significantly lower, at less than $100. Even so, that’s enough to easily bring Handy’s spending on enrolling new cleaning “pros”—as it refers to contractors—to tens of thousands of dollars each week. To most of the former customer-experience and operations employees I spoke with, that high turnover was hardly surprising. At various stretches in the company’s existence, contractors frequently encountered problems receiving payments, former customer-experience employees say. Lots of cleaners also didn’t understand that, because they were independent contractors, there was no withholding on their earnings, and they needed to set aside money to pay taxes. But the most glaring payment complaints involved Handy’s pay-docking policies. Cleaners would have money withheld from future paychecks if they showed up late to a job, canceled on short notice, or missed an appointment entirely. These financial penalties are outlined in the “Service Professional Agreement” that all Handy service providers are required to sign. “Cancellation by Service Professional may result in a fee being charged to Service Professional as described further in Schedule 3, which may be modified from time to time by Handy,” the terms read. So may “Service Professional’s failure to complete a Job in accordance with Service Requester’s specifications.” Cleaners who receive poor reviews from customers also earn less per hour and risk removal from Handy’s service—a fact largely invisible to users of the service. Handy cleaners are paid one of four hourly rates between $15 and $22 based on how highly rated they are and how many jobs they’ve worked in the past 28 days. 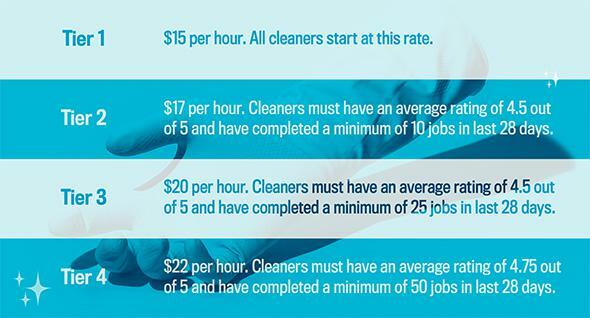 The average cleaner makes around $17 an hour, Handy says. Per the company policy viewable to pros on the Handy app, which a former employee provided Slate, Handy withholds $15 from the pay of cleaners who arrive late to a job by more than 30 minutes, as well as from those who cancel a booking less than 36 hours before the start time. Cleaners who don’t show up at all are assessed a $35 penalty (plus the cost of the job, if the payment has already processed). Most severe is the fine for cleaners who cancel jobs within two hours, who incur a withholding fee “equal to what you would have been paid if you completed the job.” In other words, pull out of a $60 cleaning job at the last minute, and you don’t just lose the $60 earning opportunity—you’re actually charged $60. The tiers at which Handy cleaners are paid. Chart by Lisa Larson-Walker. Photo by John Spannos/Thinkstock. Handy says these policies mirror how it charges customers who cancel bookings. “It’s a dual-sided agreement where we want to deliver the best experience to customers and pros,” Hanrahan says. “If the customer cancels a booking within two hours, we actually pass the entire fee onto the pro, so the pro gets paid the entire amount irrespective of what happened.” Fees assessed to cleaners are typically used to give customers credits for complimentary services. The cleaners I spoke with are torn between warm feelings for a platform that affords them flexibility and relatively good earnings and a frustration that Handy treats them like disposable contractors despite managing them quite closely. When I tried Handy earlier this month, it went well. The woman who cleaned my apartment was prompt, friendly, and polite. Shortly after arriving she changed into a baggy Handy shirt with a slight shrug, then set to work scraping the grime from my bathroom. She said she’d worked in cleaning for a long time and that using Handy made it easier for her to find jobs. I heard similar things from Sewanda Williams, a cleaner who has worked for Handy in San Francisco for a little more than a year and likes that she can schedule cleanings in the evening, around her 9-to-5 job. But Williams’ experience has not been without its frustrations. She has been irked when Handy has made small changes to its payment rules “without actually contacting you or giving you warning.” Another woman I spoke with, who has cleaned for Handy in New York for almost three years and requested anonymity since she still works on the platform, complains that Handy tells customers that they are “not expected” to leave tips. She describes recently not receiving payment for a job in a timely fashion because of identity verification issues, but says that rather than help her over the phone, Handy would only communicate with her via email. “I think it’s really unprofessional,” she says. Not every Handy contractor is so forgiving. Last October, two former cleaners filed a class action lawsuit against Handy in California, claiming a litany of labor violations. The suit, brought by the sisters Vilma and Greta Zenelaj, alleges that Handy failed to compensate them for their full time, including travel; failed to pay a minimum wage for all hours worked; failed to provide rest and meal breaks; failed to reimburse for business expenses; failed to remit tips; and failed to furnish timely wage statements. Uniting all of these was a central assertion: “Handy violates California law by misclassifying Cleaners as independent contractors when they are, in fact, employees.” Two weeks ago, another class action lawsuit was filed against Handy in U.S. District Court in Massachusetts alleging much the same. Handy is far from alone in the 1099 economy in facing legal obstacles. Over the past few years, contractors have filed similar suits against Uber, Lyft, laundry service Washio, food delivery services Postmates and Caviar, shipping platform Shyp, and Handy competitor Homejoy. Representing the plaintiffs in many of these cases is Shannon Liss-Riordan, a Boston-based attorney. The Zenelaj complaint argues across 30 pages that Handy was exercising “extensive control” over how cleaners performed their jobs. It was, in other words, treating them like employees, but paying them like contractors. Handy required cleaners to attend training sessions, gave them an “extensive Handy-labeled checklist” to follow, instructed them on what supplies to use and how to dress, detailed how to interact with customers, and monitored performance. It also could terminate cleaners at its discretion. One former Handy cleaner I spoke with said she was required to attend a two-hour, unpaid training session at a Handy employee’s apartment before being hired to work on the platform. In presentations Handy used at cleaner training and orientation as late as fall 2014 (copies of which were provided to Slate by a former employee as well as by Liss-Riordan), the company outlined its intricate rules and strict expectations. Cleaners were instructed to follow Handy’s five “golden rules”: showing up to jobs, bringing supplies and wearing Handy apparel, being on time, being thorough, and being professional. “Breaking any of the Golden Rules can lead to removal from the Handybook platform,” the presentation cautioned. To a judge, though, “incentivizes great behavior” might tiptoe too close to “exerts control like an employer.” It’s a line many 1099 startups have struggled to walk. Uber, for example, doesn’t make its drivers wear uniforms, but does advise them on how to interact with customers and threatens to deactivate those who fall below certain ratings thresholds. Is that enough to make Uber the employer of its drivers? A jury will soon weigh that question. Other companies, like Shyp and grocery-service Instacart, have decided to play it safe and switch some or all of their contractors over to employee status. At the same time, companies save an estimated 30 percent on labor costs from working with contractors instead of employees, says Wally Hopp, professor of technology and operations at the University of Michigan’s Ross School of Business. They have a powerful incentive to keep their workers off of their staffs. In Handy’s case, a ruling that its cleaners are actually employees might also open the company up to other legal problems. Sarah Leberstein, an attorney at the National Employment Law Project, says that Handy’s detailed and punitive withholding procedures would likely be illegal if they were applied to employees in New York, since the state department of labor’s list of permissible deductions includes health benefits, charitable contributions, child care, and various other payments “for the benefit of the employee,” but not late fees. It’s policies like these, combined with Handy’s comprehensive cleaner trainings, its strict scheduling, and its control over cleaner pay rates, that suggest to critics like Liss-Riordan that the company has stretched the boundaries between employees and contractors more than many other startups in the 1099 space. “Handy is one of those companies that I believe is crossing the line in even more blatant ways,” Liss-Riordan says. In a victory yet perhaps also a bad omen for Handy, the company’s main U.S. competitor, Homejoy, announced last Friday that it would shut down at the end of July. The “deciding factor” was four lawsuits filed against the company, Homejoy co-founder Adora Cheung told Re/code. Homejoy’s exit leaves Handy the dominant home-cleaning platform in North America. It has won the market. “Handy carefully built out a city-by-city strategy,” says Jeremiah Daly, a former Handy investor. “The business had a competitor that was expanding what appeared to be quicker, but the way these markets are won, it’s unclear whether it’s the biggest company by revenue, or the most fundamentally sound company that wins at the end of the day.” But Handy still faces legal questions similar to the ones that caused Homejoy to exit the market. Could Handy go the way of Homejoy? Might it have to concede, as Instacart has, that the contractor model at the heart of the 1099 economy threatens the soundness of its business? The company seems to be asking itself these questions, because it’s already making changes. The problems Handy ignored as it careened toward success may have seemed peripheral at the time, but they’ve ultimately proven much more complicated, and arguably more important, than any questions of supply and demand. Handy figured out how to tidy other people’s homes, but along the way it neglected its own household. With unhappy cleaners seeking relief in the courts, Handy’s contested labor model may soon face a reckoning, and perhaps be in need of revision. That’s a mess this dynamic company may yet find a way to clean up. But for once, it’s going to have to do the dirty work itself. Courts, regulators, and legislators may solve that problem in the coming years, but improving company culture is a thornier matter. “I think Handy had a challenge or two scaling culture (although they are doing a better job today),” Regan Bozman, Handy’s former chief of staff, wrote me in an email. “Onboarding 20-plus employees per month and integrating them is really challenging. However, by about March 2015 there was a real recognition that this was an issue, and I think Umang and Oisin did a good job of addressing it.” Shortly before Christmas—as customer-experience employees were quitting, but before they were being fired—Handy implemented a “culture committee” to plan events like happy hours and yoga sessions. Two current employees that Handy’s spokesman put me in touch with offered brochure-ready statements about their experiences. “I enjoy the infectious passion Handy team members have for the success of the company. We’re all in it together,” Krista Karjalainen, who handles engineering outreach for Handy, wrote in an email. (She also accidentally forwarded me an exchange with a company spokesman, which revealed edits and additions he had made to her answers to my questions.) “I can definitely say Handy has a great team with very smart people,” Mayank Yadav, Handy’s product manager for growth, said in his email. Both said they never felt that Handy’s culture was sexist or elitist. Handy could benefit from more of that introspection. 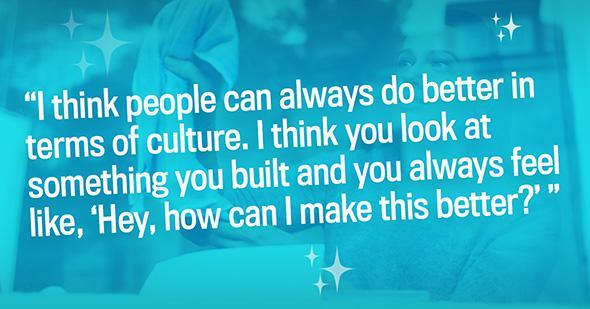 But soul-searching isn’t easy when you’re racing to dominate a market—to put up big numbers, to raise huge sums, to become a household name—all before someone else beats you to it. For three years, Hanrahan, Dua, and their team have trained their focus on that goal. They’ve summoned their empire out of nothing. They’ve booked its services a million times over. They’ve watched their main competitor step aside. By the metrics alone, Handy is winning, but victory is about more than numbers, even in the 1099 economy.